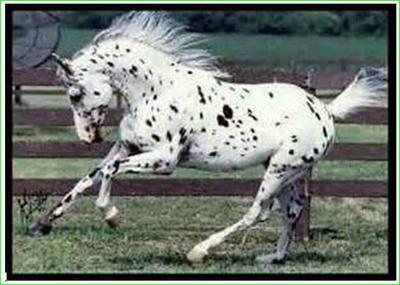 As I stepped out into the cool morning air I knew I had to go see my appaloosa. I walked down to the stable where she was, my dog Pip following me and I felt really excited. Today was the day that I was going for my first trail ride ever with my best friend Freya and her stallion, Blackie. I walked up to Pepper and petted her. “Hey girl! Ready to go for a trail ride today?” I said. Pepper whinnied. I gave her breakfast and some water and went to the kitchen. “Morning Haley”! My mum said. “Morning”! I said. “Would you like eggs on toast or a pop tart?” my mum asked. “A pop tart please!” I replied. We both laughed and Pip barked. “Hey Freya”, I said “Race you to Bullrout Barn”! We both started to trot, canter and then gallop. I would have beaten Freya, but Pepper stopped to do her business. Yuck! We rode back to my house and I stabled Pepper. “Bye Freya”! I waved and Freya waved back and then galloped off. I gave Pepper dinner and walked up to the kitchen. “Mum! I’m home!” I yelled. “I can see you’ve had a really fun time today” my mum said. “You must have ridden up an appetite with Pip. Guess what I made for dinner!” “What?” I said. “Roast chicken and salad! Your favourite!” said my mum. I tipped some meat into Pips bowl and he hungrily gobbled it up. I sat down at the table and started eating. Then I had a shower and went to bed. Ruff! I woke up to Pip barking. I looked at the clock. It said 12:00. Just then I heard Pepper stamping and whinnying. I ran to the window and saw two dark figures jumping into a truck with a float attached right in front of Pepper's paddock. I gasped. Wow!!!! :D When is Part 2? I love this story! Let me know when Part 2 is out! This is so inspiring and I have written 3 chapters of Born Victorious- please check them out. Awesome!!!!!!!!! Thanks a lot guys you have inspired me to write more stories. The second part is coming out now ok! I have also written "The Ghost Horse." ok so let's see umm well I love your story its the coolest story i have ever read in my life and you have inspired me to right my own story thanks yours is great. I like it but you are rushing the story a little. But anyways you got me hooked! Okay, pretty good so far. Just one thing or two when you say I gave her breakfast. And or dinner say I fed her oats and grain. Plus like others even me you jump a head quickly. You are rushing the story.